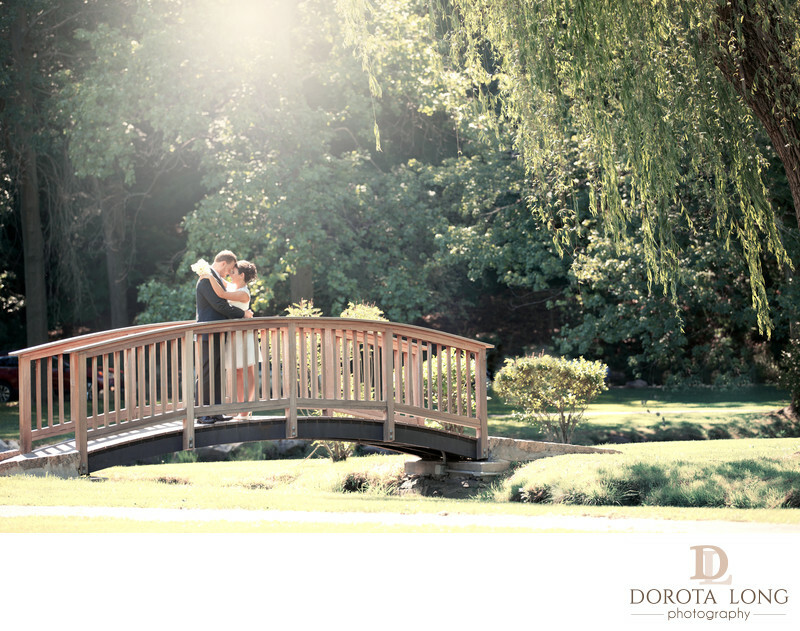 It was a warm spring day when this beautiful couple got married at Binney Park in Greenwich, CT. The ceremony was very small and it took place in one of the stone gazebos right at the park. There were only about 20-30 guests invited and the whole ceremony was very private and intimate. Right after the wedding vows we walked around the park to take some family photos. I really enjoyed working with these clients because they were very flexible and really trusted my suggestions. The day was very sunny and it was challenging to find a shaded area. I always try to find areas with shad during the high noon sun hours because I avoid shooting with direct sunlight on my client's faces. If there is no shade, I try to place the backwards to the sun and expose my camera to their skin. After the family formals we went to a local Italian restaurant in Greenwich where the couple had their post wedding celebration and a cake. I really enjoy small weddings like this and being part of it. Every wedding is different but each one is a very special day for every couple. It is a great honor to be chosen as a wedding photographer no matter how big or small the wedding is.